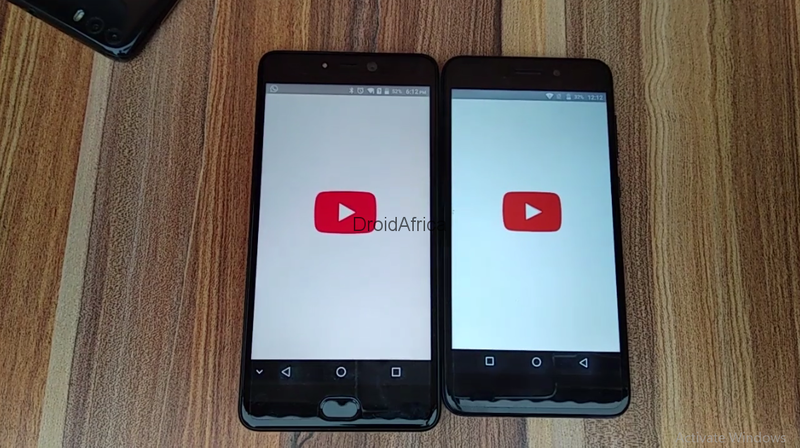 The comparison test is between Leagoo t5c and Vernee M5 smartphone. On one hand, Leagoo T5c is running Spreadtrum SC9853i CPU. This CPU is a 14nm process, with 8 cores CPUs clocked at 1.8Ghz along 3GB of RAM and 32GB Internal storage. 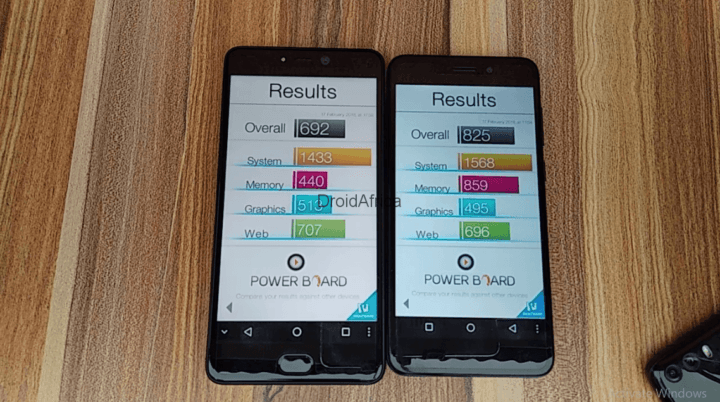 While on the other hand, Vernee M5 is got a Mediatek MT6750 Octa-core processor clocked at 1.5Ghz along with 4GB RAM and 64GB Internal Storage. Then Geekbench which tries to access both multicore and single core performance of both processor and here, the SC9853i is topping the chat again due to it higher 1.8Ghz speed. On single-core, both CPUs scored 682 and 670 for the SC9853i CPU and MT6750 CPU respectively, while the multi-core thread gives a total of 3461 and 2559 respectively for both SoCs. But when I tried Basemark OS v2, The Vernee M5 took the lead. 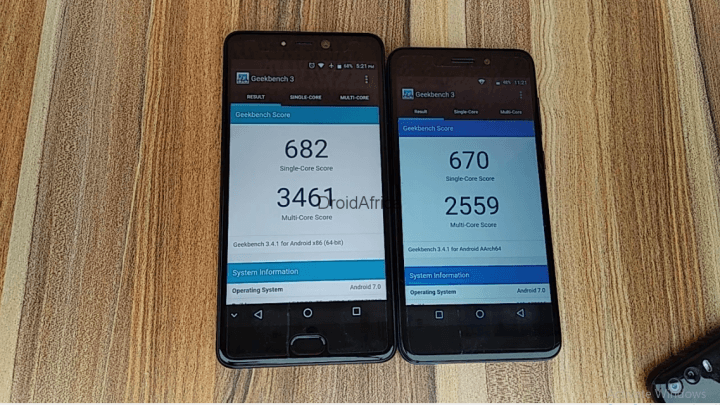 As seen in the image below, the M5 got it major advantage from it 4GB of RAM and the stock Android 7.0 (Nougat), scoring a total of 825 as against the 692 point gotten by the Leagoo T5c smartphone. So how does these Technicalities turns out in real life performance? Again, let find out. So with all background apps cleared, let run through 15 everyday apps and see which of this processor is faster in loading them. First; Dialer, Contacts, Messages, Google Chrome, Camera, Settings, Playstore, Facebook, WhatsApp, Intagram, Gmail, Twitter, YouTube, ES File Explorer, and Xenda. After the test, the T5c obviously lagged behind throughout the test, which is yet another prove that stock Android OS is still better, somehow than customize UI. As for the memory management, Both smartphones are able to retain all 15 apps without closing any. 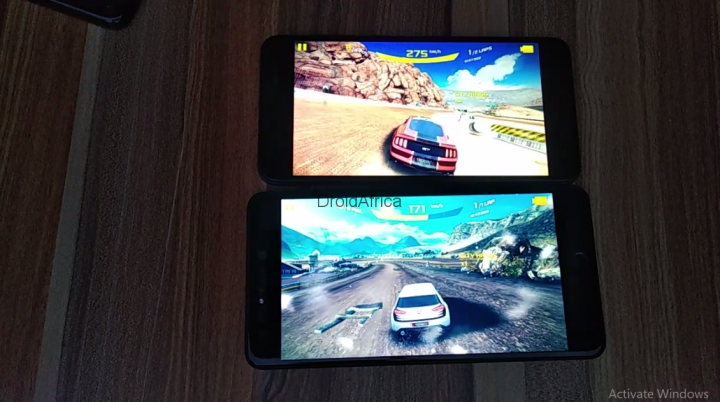 This is impressive considering that Leagoo T5c is got just 3GB of RAM. Now, how about gaming? Truth be told, gaming is far better on MT6750 SoC than the SC9853i CPU. From the test, I noticed that when running light-weighted apps, the SC9853i tends to take the lead, however, when it comes to more Graphic demanding apps, the Mali-T820 is always left behind. Also gaming control was not smooth on the T5c like it is on the M5. The reasons for this could be due to the presence of a lower Mali-T820 GPU, and partly due to poor optimization from both the CPU side and the OS department. So which of these processor is the wineer in the Test, well, let the discussion begins.